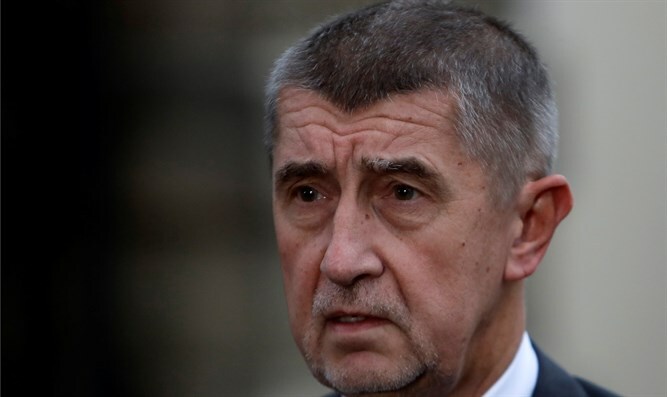 Czech Prime Minister Andrej Babis rules out the idea that the country would follow Trump's example as Czech President had suggested. Czech Prime Minister Andrej Babis on Friday ruled out the idea that the Czech Republic would follow the United States’ example and move its embassy from Tel Aviv to Jerusalem, as Czech President Milos Zeman had suggested a day earlier. "This idea of President (Donald) Trump is not good. You can see the reactions," he told Czech public radio, according to The Associated Press. On Thursday, Zeman hinted that his country could follow the United States and move its embassy from Tel Aviv to Jerusalem “sooner or later”. The Czech Republic followed in the footsteps of U.S. President Donald Trump on Wednesday and said it recognizes Jerusalem as the capital of the State of Israel. “The Czech Republic currently, before the peace between Israel and Palestine is signed, recognizes Jerusalem to be in fact the capital of Israel in the borders of the demarcation line from 1967,” said a statement issued by the Czech foreign ministry. “The Ministry can start considering moving of the Czech embassy from Tel Aviv to Jerusalem only based on results of negotiations with key partners in the region and in the world,” it added.